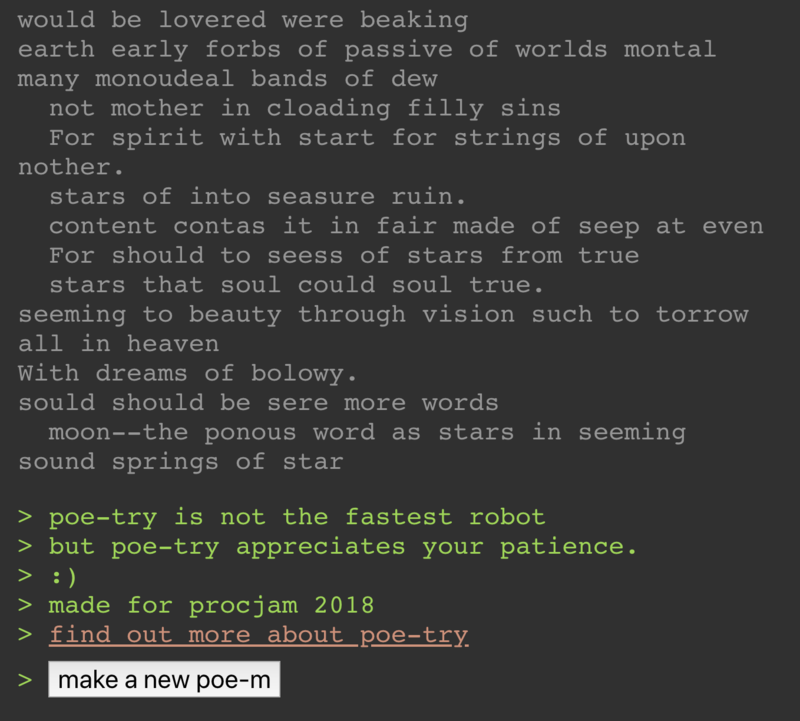 Tries to generate words inspired by the works of Poe. 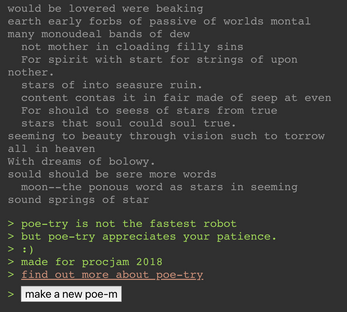 A fun, silly project made for Procjam 2018, whose theme was "Poetry". This technique works remarkably well. If you aren't paying close attention, you could mistake it for an actual work of Poe.